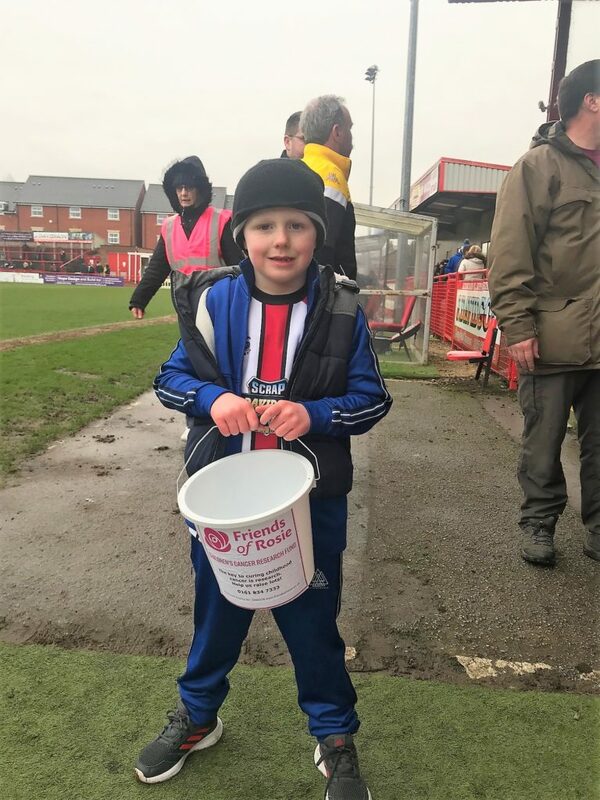 Huge thanks to Altrincham FC and all your supporters and away fans for donating a total of £334.24 during the home game on Saturday 19th January. 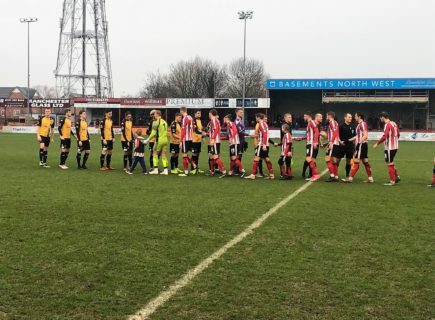 Congratulations also on your 1-0 win against Southport. 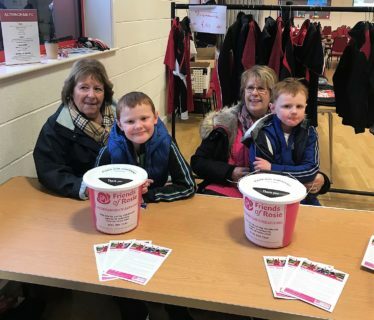 We were made to feel very welcome by the club and supporters and are very grateful for the opportunity to be your match day charity. This money will help us to fund our latest research project during 2019, which will soon to be announced. A massive thank you also to all our volunteers who shook buckets in the rain to help us raise lots. 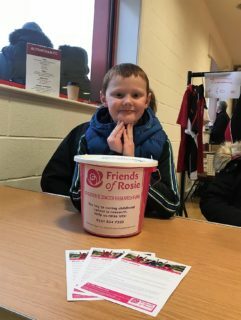 And to five year old, George Griffin, who represented Friends of Rosie on the pitch as one of the mascots.